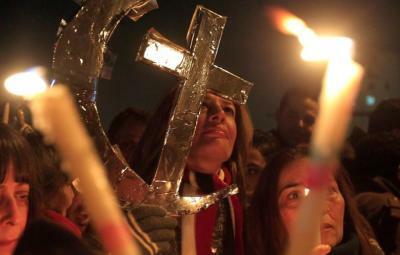 Christians from various parts of the world recently detailed for The Christian Post how they, their families, friends and ministries have been persecuted simply because they worship Jesus Christ. On Wednesday, Open Doors USA rolled out its 2018 World Watch List and announced that as many as 215 million followers of Christ throughout the world are being persecuted for their faith. Christians from Egypt, India and Vietnam traveled to the U.S. to attend the Open Doors press conference held at the National Press Club and to share their own experiences. CP caught up with the international group of believers, who only provided their first names for security reasons, following the press conference to learn more about the types of persecution they face.